Before I write here today, and before I forget yet again, I want to thank everyone who takes the time to visit and comment, particularly those who have been here year in and year out. When I started this blog, I was hoping to share a way of life that wasn't written about much in those days; especially in the context of Home. However, I wasn't sure if I had the ability to consistently write in a clear and interesting way, and if what I had to say about a slower and simpler life would make sense, particularly to those much younger than me. Well, I'm pleased to say it seems to have made sense and over the years I've received hundreds of emails from people who have sent such gracious words of thanks. That is not a one sided gratitude because I too have been heartened by your visits and the comments you leave. And after all these years I'm grateful that it still feels right to be blogging. Reaching out to you in these posts keeps reminding me that even though we are all geographically isolated and living life on our own terms, we are not alone. Thank you friends. Penguin is having a promotion of the Down to Earth ebook (not the hard cover) The special price of $4.99 will be available on all ebook vendors in Australia – so Amazon, Apple, Kobo, Google, Booktopia, eBook etc – between Feb 3 and Feb 24. And just a reminder, the new book, The Simple Home, will be published at the end of February. So, you said you wanted to menu plan? And finally I have a simple recipe for you. It always makes me smile when I read comments about my cooking because mine are such simple old recipes, I think everyone must know them. Here is another easy one that will help you use an excess of eggs or to just provide nutritious food for your family. It's an easy custard that uses no thickener apart from the eggs, so it's gluten-free. Place eggs, sugar and vanilla in a bowl and beat together with a hand mixer or whisk. Heat the milk so it's hot but not boiling. Pour the milk into the egg mixture, and beat again until thoroughly combined. Pour the mixture into a loaf pan and put into bain marie. Fill bain marie with boiling water so it comes half way up the side of the loaf pan. (This allows the eggs to cook gently, which is essential.) Sprinkle on the nutmeg. Bake in a preheated oven at 160C for 45 minutes. It needs to be wobbly when it comes out of the oven. You may think the custard is too thin and isn't properly cooked but don't be tempted to continue cooking past 45 minutes; it will continue cooking after you remove it from the oven. Allow the custard to cool down before you serve it. The texture will improve even more if you leave it in the fridge overnight. When you serve it the following day it should be light, wobbly and delicious. It's the ideal light cold dessert for a hot summer day. Serve with either fresh or tinned fruit. Thank YOU Rhonda for your blog. I usually follow craft blogs but yours is top of my list as it provides me with encouragement, knowledge, help and a warm fuzzy feeling!!! I soak up every word and when you don't post I read over previous posts and never get board and always find something interesting to read. I can't wait for your new book to get published and hope that I can get it shipped over to the U.K. Your other book is very dog eared/loved!! I love your photo's of your day to day life and your delicious recipes (hubby and sons thank you for those too!!) and I hope that you will carry on writing your blog forever! So thank you again Rhonda for every blog post that you have written and I hope that you and Hanno have a wonderful weekend. Hi Rhonda, I tried to make a baked custard only a few weeks ago and it was a disaster. It looked as though it had curdled. I will definitely try your recipe now...it looks creamy and delicious! This is my first comment, i'm normally just hiding in the background quietly reading and nodding my head, i've done so for many year's. I love the simple life and i'm slowly getting there with you and the commentators nodding wisely over my shoulder. So thank you Rhonda, Hanno and all - you make the world a better place.Sherryll, Co Durham NE England. Custard always makes me think of Grandpa. It was his favorite! Yum! Looks fantastic. Will have to give it a try. Gosh, I didn't even realize there were forums! The custard looks tasty. I'd throw a few cookies on top of mine! Happy birthday Tony! Make sure you get the biggest scoop of custard. Oh I love a good custard - can't wait to try this! Oh my grandma use to make this in her old wood burning stove! Along with her bread and scones, some of the best eating memories I have! Rhonda, I've followed your blog for such a long time; I just don't comment much. Thank you for all you do. It's nice to know I'll read a consistent, simple, loving post from you every time! You're the best! Yum, yum, yum. I'm thinking baked custard will be in the menu this week. How well I remember mum making baked egg custard when we were growing up. It was so delicious. I haven't made it for years. It is a golden oldie, Rhonda. 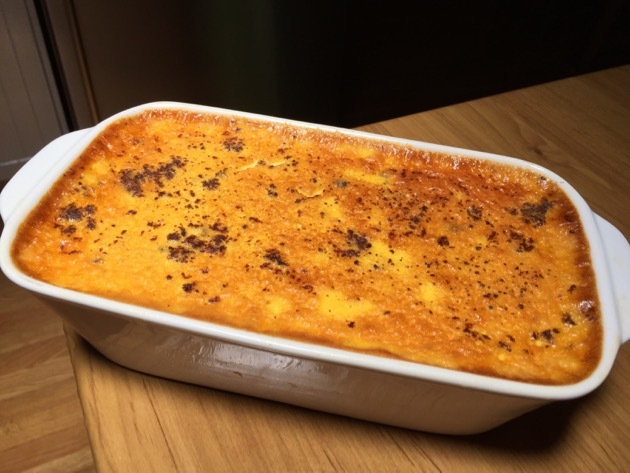 Good on you Rhonda for all your wonderful blogposts.....and for this egg custard recipe. Oh, I love puddings and custards! This is timely, as our hens have been producing lots of eggs. Just before I sat down to read your post, I put bowls of from scratch chocolate pudding in the fridge to chill. 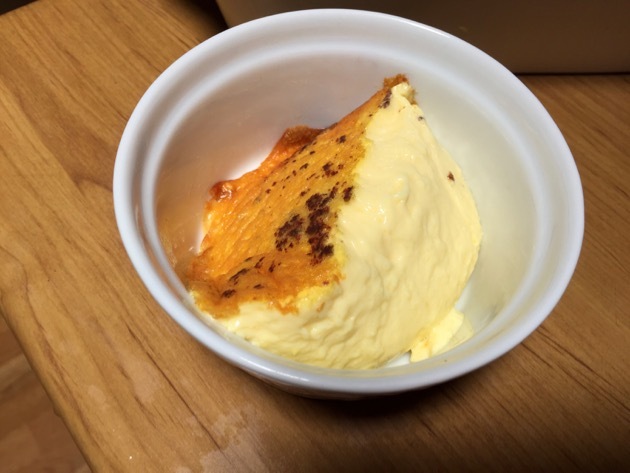 I make tapioca, which uses some eggs, but the custard will use more and be a nice treat. Thanks for the recipe. Yum! Your custard looks and sounds amazing. Thank you for sharing. Thank you for being such an inspiration to me!!! Even though I am now an empty nester, my friends and neighbors are always happy to share when I try one of your recipes. I always look forward to reading your wonderful blog. You are one special lady. If you ever come to Oregon you have a standing invitation to come to my home for lunch or dinner. Blessings to you. I have been following you since the beginning, and I still enjoy coming to visit, although I don't always comment. You keep on inspiring no matter what the generation. Wonderful, wonderful blog!! Now I am going to pay a visit to the forum to read about the sour dough happenings. I am trying this at the moment, but my starter is not taking off properly. Looks like custard is simpler than I thought. Maybe I should give it a try. :) Thanks for sharing! And I still appreciate all the work you have put into your blog and books over the years. Whenever I look something up, or just read for fun, I feel like a kind mentor is helping me figure things out. Whenever I'm loosing motivation I get on here and read for a bit. I love how everything you write seems to be filled with the love of how your living. I'm not sure if that makes sense, but many times your blog has got me 'back on the wagon' again. Thank you so much for all the time you invest in this each day. Thanks for the recipe and for the sage advice you give us in your blog Rhonda. I started to slow down a bit last year, read Bea Johnson' book "zero waste home", I would love read yours as well (even in English) but I'm not sure a can make a credit car transaction in amazon australia ? Anyway, I post today because I want to thank you for your blog. I really appreciate the way you write about simple things, your daily routine, the way you arrange your home and garden. Rhonda,your blog was so very helpful to me when I was first diagnosed with a lesion in my brain ( with Stroke like symptoms ) to get back to basics & know that it will be ok . I take each day as it comes ,have learnt to live in the moment and make the most of the situation I've found myself left in. I belong to a local Stroke Support Group & we all appreciate the sunshine after the rain ! Thanks for the baked custard recipe, I will give it a try . Keep up the great blogging & have a lovely weekend . Custard Pie was my Mother's favorite, and I have baked many over the years. Now we are at an age to avoid desserts, and I had not thought to do a simple custard, but I think hubby will appreciate it very much. Enjoy your writing so much and have been clear back to the beginning to read your posts. Have your e-books and am waiting on the new one. Your post today gave me a scare. I thought for a moment you were going to give up your blog. I for one would miss it so much. Your custard recipe looks wonderful. A friend at our church brings me lots of eggs each Sunday. She is a widow and can not eat all the eggs her chickens produce. In exchange for her eggs I give her dog food to feed her dogs. It is a WIN WIN situation for us. I have about 16 eggs now waiting to be used and I can make this custard using some of those eggs. The others will be made into egg salad and for breakfast tomorrow morning. I have both of your books. I look forward to getting the third. Thanks Rhonda, Most days I am here for a visit to see what new info you may share for us. Since I was raised in a home following the simple life, I have continued the same lifestyle my parents taught me. I love your blog!! DH and I always can, freeze, and dry produce from our huge vegetable each summer. Your recipes always are of interest and the photos are always interesting. Thanks for the time you share with us and I enjoy your blog soooo much. Ooh I remember my Granny making this when I was a child. Thank you for bringing that memory back, I can smell it cooking now too! Thank you! Your blog is such a reinforcement to living the way we do. My favorite posts are the Weekend Reading. I love your suggestions for reading. Wendell Berry - "what's the right thing to do?"